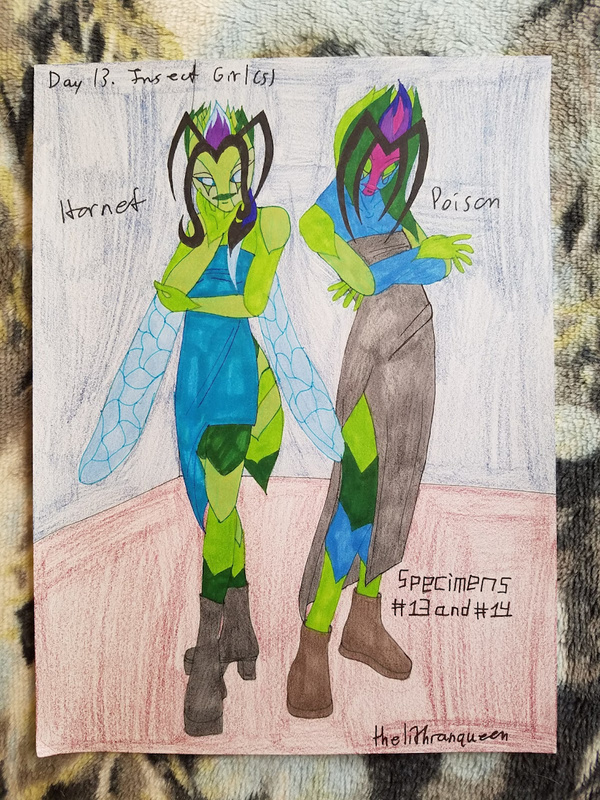 SPECIMENS #13 and #14: Hornet and Poison. Characters no longer in use. Free to take. Comment if you want to take them. NOTE: originally these two were sisters, but whoever takes them can change it. Also, I want these two to stay together only for when they're first taken by someone. After that whoever takes them can give one, or both, to a friend or someone if they wish. Thanks! their "hair"? is a little confusing tough. Eh, sorry about that. You can change them up if ya need to. You're welcome. Eh, sorry about that. You can change them up if ya need to. Hey, no worries. You don't gotta rush.